Hashim Amla a South African cricketer with his ancestors in Gujarat. Born on 31st March 1983 in Durban, he is considered as one of the finest stroke makers of the game. His supple wrists are just eye catching, especially when playing those back foot shots. 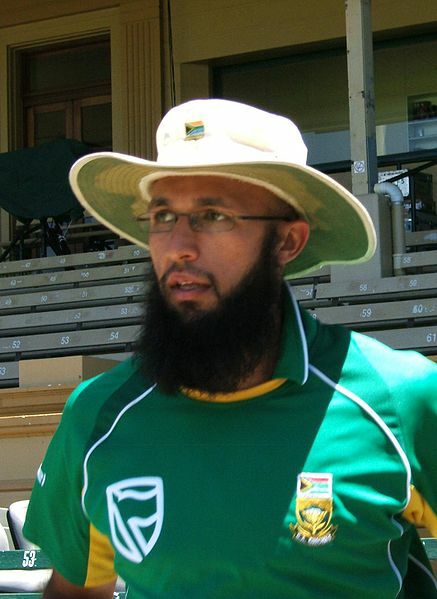 Amla made his debut for his provincial team, the KwaZulu Natal Dolphins. He was soon picked up as the skipper for the South Africa Under-19 team for the 2002 U-19 Cricket World Cup in New Zealand. During his developmental years, previous Western Province skipper and mentor Hylton Ackerman had been powerful in Amla's improvement, first recognizing his ability and sharpening his aptitudes amid his instructing career. He was made captain of his state club Nashua Dolphins at the age of 21 and soon drew attention of the national selectors. With his great quality of playing, he made his test debut in 2004-05 against India in Kolkata. He was reprimanded a considerable measure for his terrible execution for short runs. He proved everybody wrong in 2006 when he scored a rebound 149 against New Zealand at Newlands, Cape town which was sadly a draw. In any case, he performed well in his forthcoming test matches with a average of 57.10 which lead him to South Africa's number three batsman. Proceeding with his remarkable execution on 27 March 2008, he scored 159 against India in Chennai. Amid Africa's 2009 voyage through Australia, Amla played an extremely vital part helping South Africa win test match and ODI series against Australia. Amal indeed played a very good game in test matches but was still not considered for shorter formats of the game. He cemented his place in the ODIs by scoring two hundreds during the West Indies tour in 2010. During his tour to England he hit the highest test score by a South African and the country's first triple century while playing in the first test at The Oval. South Africa won the test series, with Amla winning the Man of the Series award. After the tour of England it was turn for the Australia's tour where he scored 104 in first test followed by 196 runs in second in a match winning series. In 2013, he was asked to lead the team due to suspension of regular captain AB de Villiers, which he declined. Cricket World Cup 2019: Who will make it to South Africa's squad for the tournament?